We sell Donegal Walking Socks all year round. Made up of 80% Irish new wool from Donegal of course and a small 20% synthetic, they come in a range of vibrant colours, they are soft to the touch and really warm to wear. 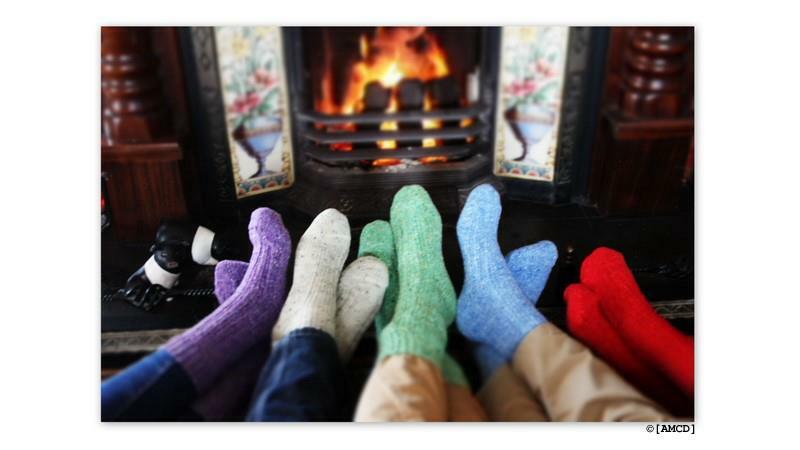 A lot of people buy them as house socks if they feel the cold and we get many hill walkers in buying them also. They are machine washable though we always advise to hand wash any wool products to make them last. 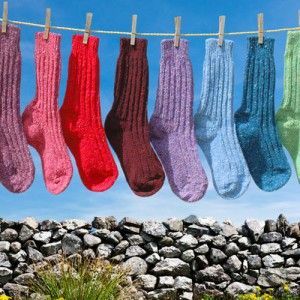 We also stock a range of 100% pure Jacob’s sheep wool socks in 4 natural colours, great for hardy hill walkers and those who don’t mind a slightly rougher texture to their socks. No dye is used, the 4 colours available are completely organic. 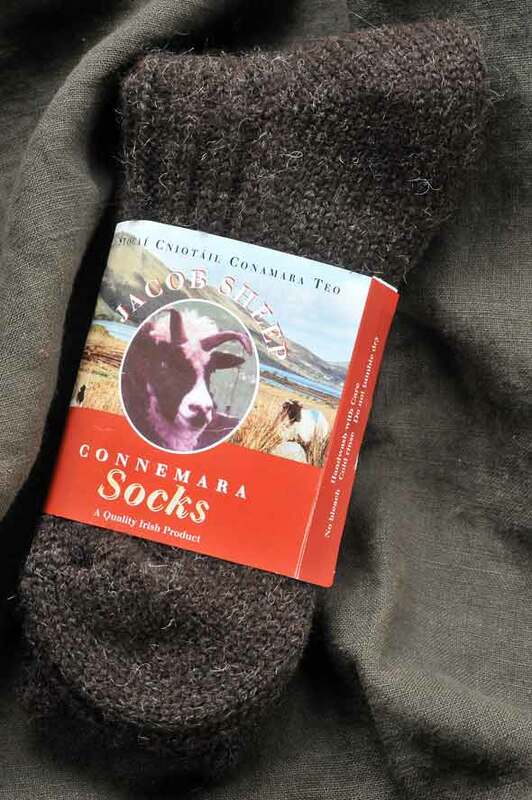 Shown above , a pair of totally organic black sheep Jacobs wool walking socks. Extremely warm and well wearing. These are also available in knee high versions, great to wear inside wellies or to match up with a kilt.